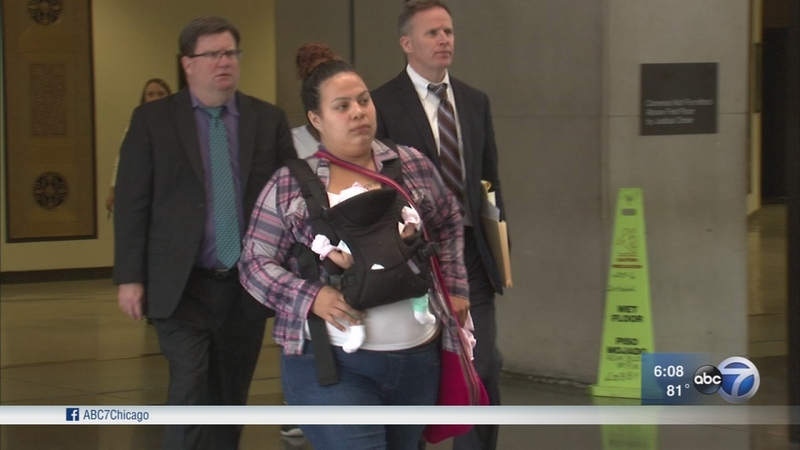 CHICAGO (WLS) -- There was another intense court hearing for a Chicago woman who gave birth while in custody on a non-violent charge. Karen Padilla was charged with a third probation violation for failing a drug test taken last week. Padilla was originally charged with theft in 2015. In June, Judge Nicholas ford sent Padilla--who was seven months pregnant at the time--to jail without bond for violating her probation. On Monday, Judge Ford offered her a second chance if she plead guilty to the violations, which she did. Padilla is now sentenced to two years' probation and parenting classes.